Over the last several weeks, I have listened to a number of podcasts about atheism, feminism, and men’s rights. In addition, I watched the news regarding the G20 Summit and the G19 support for the Paris Climate Accords. I decided to write this post about an African goddess called Asase Yaa who was also referred to in the following poem as “Old Woman Earth” to contrast the dichotomy our culture has created between humans and the earth as well as between men and women through the worship of a male deity. Asase Yaa was the wife of a sky deity. Both were worshipped by the Ashanti people. This worship survived the slave trade of these people in the country of Jamaica. The Jamaican slave owners did not believe in converting their slaves to Christianity. This examination of an early African goddess in no way means that I want to start worshipping a goddess. I am an atheist and I do not believe in the existence of any supernatural being, male or female. However, as we unpack the cultural underpinnings of religion, we must be aware of the significant influence worshipping a male deity has had on Western Civilization as well as on the civilizations built on Islam. After the short poem to Asase Yaa below, I make several contrasts between the worship of this entity and the male deity of the Abrahamic religions. My Prayer to You, of Thanksgiving. In each Grain of Sand is thy Story. Bringing Life to the Land with my Will. For your Back upon which we Stand. Is proof of the Tale. Are an Unending source of Mirth. Into the Lands of Sweetness and Heart. To be Cherished Forever, We Adore You. When I was growing up, there were three role models for a young girl – teacher, nurse, and secretary. My mother was a teacher (against her will – she wanted to become an artist but her father would not let her) and my sister was a teacher (and still wishes she would have explored geology, her favorite subject). My first career was teaching French. I spent my entire childhood praying to God, Jesus, and even the Holy Spirit at times – all male images. As I was raised as a Lutheran, I didn’t even have the Virgin Mary to look up to. I am not a psychologist, but I think most of them would agree that this influence in our culture of a male deity does reinforce, to a varying degree, the acceptance of male leadership whether in the family, the government, or our professional lives. Times have certainly changed since the 50’s and 60’s when I grew up, but culture changes slowly and holds on to us in ways that we cannot readily see. 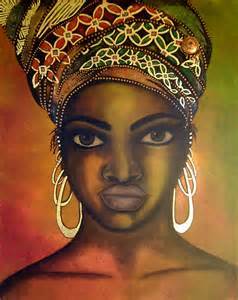 What would have been the difference to me if I had been raised to worship this African female deity? Would I have felt stronger, more empowered by praying to a woman? Would I have gained strength from her power? Role models for young boys are just as heavily influenced by our culture including religion. The other day I was in the grocery store and encountered a very young girl with big purple wings. I complimented them and asked her why her little brother didn’t have wings. She said, “Boys can’t have wings!” Her mother said, “Well, boys can have wings.” She then stated that, “He doesn’t have the costume.” Pidgeon-holing boys into the categories of no dolls, no pink, or no wings can be just as damaging to the goal of gender equity. Gender equity in this case would have boys and girls choose whatever toys they want to play without being bullied for their choice. I bought a doll for my son. Admittedly he didn’t play with it much, but I wanted to teach him that men caring for babies is a good thing. Recently Target decided not to segregate its toys by gender. Backlash included an article by Matt Walsh arguing that the change was dictated by “the ideological dictates of lesbian gender studies professors.” Change is not easily accepted. In a recent article in Salon, social entrepreneur Nina Simons talked about her struggle to overcome her biases about leadership roles for women. “The more women I talk to the more I learned that most women have a really negative reaction to calling themselves leaders,” Simons said. “I began to unpack that and realized that I had all these belief systems and images and ideas that I had never consciously adopted but that were in me nonetheless about what leadership was and what it looked like. And I didn’t want to be any of those things.” What she had learned about leadership growing up required “aggressive, self-promoting qualities” that she felt did not serve the greater good. I am not advocating for an androgynous society where there are no differences between boys and girls. How boring would that be? Plus I think the evidence of evolution argues against this. However, when listening either to feminists arguing for equal rights for women or men’s rights’ advocates explaining the inequalities that men endure (obligatory registry for the Selective Service being just one of them), we need to break down some of these barriers between the genders. Many concepts for a female deity include the meme of the Earth Mother. Death and life are part of the same cycle. This is one of the reasons the snake is often associated with the goddess because it hibernates in the earth, comes out each spring, and also renews itself by shedding its old skin. As early humans depended on the cycles of the earth to signal when planting should begin, when crops should be harvested, etc., it is not surprising that they would associate a deity with the earth. The notion of a grain goddess is associated with many early cultures. The seventh stanza of the poem includes the phrase “The Fertile Fields and the Woman’s Yield” equating the fecundity of the earth with the woman’s ability to give birth to children. We have become so separated from our agricultural past that we now see the earth as our domain to exploit and there is evidence of this all around us. We have ventured dangerously away from our knowledge of how important the earth is to us and are already suffering the consequences. And yet many politicians refuse to acknowledge the view of the vast majority of scientists who understand our role in hastening climate change. What is ironic is regardless of the cause, wouldn’t it make sense to try to reduce increasing temperatures? keep alive for yourselves” (Num. 31:17–18). In the New Testament, any notion of a peaceful transition is smashed when Jesus says, “Do not think that I have come to bring peace on earth; I have not come to bring peace, but a sword” (Matt. 10:34). I will not belabor here the atrocities committed by the Catholic Church but simply mention the slaughter of thousands of witches after the proclamation of the Malleus Malificarum in 1487, participation in the slave trade, the Crusades, and the genocide of the Cathars in France. These are just a few of the ones for which the church has since apologized. Dr. Marlene Winell, author of Leaving the Fold: A Guide for Former Fundamentalists and Others Leaving Their Religion once conducted a content analysis of hymns that were sung in Fundamentalist churches. She expected that the majority of them would be about love and praise. However, she states, “It turned out that power was by far the dominant subject, exemplified by such hymns as ‘All Hail the Power of Jesus’ Name’ and ‘Onward Christian Soldiers.’” I recently met a former Lutheran pastor. I joked to him that we could get together and sing that latter song. He responded that they no longer use that song in his Lutheran Church. While there are certainly many reasons for wars and strife, it is hard to argue that religion is not in the top three. Marlene Winell, Leaving the Fold – A Guide for Former Fundamentalists and Others Leaving Religion (Berkeley, CA: Apocryphile Press, 2007), Location 1166-1171 on Kindle.